Live life to the fullest. Motivate others, but first be motivated. Repeat the same. Disclaimer : By writing this article, I do not want to hurt the sentiments and beliefs of any person that are associated with their religion. This article is not written to promote any specific religion or to hurt any religion. The motive of this article is to just enlighten the power of prayer. I hope you can forgive me, in case I hurt someone's sentiments. I remember the good old school days, when prayer used to be a daily routine in school. I used to love that routine. We all classmates have set different prayer for each day, that followed by chanting of some mantras. Once a week, there was assembly prayer session, where 2 or 3 classes are gathered at assembly hall for prayer. Ohh...I miss those days so much....Don't you miss yours school days? We used to have such a peace of mind those days, that we managed to pray peacefully for 20 to 30 minutes. No worries of any other things, and just focus on only one thing. Now a days, we do not have time to do regular prayers. In case we get some time, then also our mind is not calm and keep thinking on other things while praying. It feels so difficult to be focus while praying. I do like to maintain such routine of prayer in day to day life. But our life has become so fast, that to cope with that I usually tend to drop my prayer session, if I get late in morning. Then I feel so guilty of not doing it. But then I have realized that prayer can be done anywhere and on anytime. Yes...of course...it has its own importance of seating at one place, pray in front of idols of god. We feel blessed, when we go to mandir, masjid, gurudwara and church to pray. These have their own significance that we can't deny. It is totally a divine experience, when you seat in front of idol of god at your home or at mandir, masjid, gurudwara or church and light diya, dhup or candle, and then pray. But in case we can't managed to do that regularly, then we can pray whenever we get peaceful 5 minutes. We can pray at any places, let it be our work desk at office, while we seating on sofa for break from our kitchen work or before we go to sleep. We usually prefer to pray in morning, since our mind is refreshed after a sleep, and our morning routine is done. So we are clean both mentally and physically. So we can feel more connected to GOD. We are clear in our thoughts. Our mind has more clarity on what we want and what we should pray. "Prayer is a formal request for help or expression of thanks addressed to God or another deity"
What actually the prayer is ? 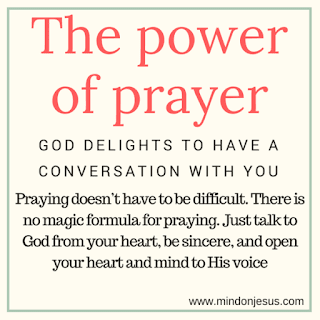 For me, prayer is a direct conversation with GOD. Prayer means faith and trust on god. Prayer means thanking a god for new morning, healthy life, lovely family and many more things which I have today. Prayer means saying 'Thank You' to god for good times and all other small things, which god has fulfilled in my life. Prayer means remembering GOD for help in my difficult time. Prayer means asking for courage in my difficult time. Prayer means confession of my mistakes to god and asking for forgiveness and promise to god that it won't happen again. Prayer means asking god to help me and others in their difficult time. Prayer means being true to myself. Prayer also means to asking for forgiveness for my mistake to other person. Prayer means helping others in their difficult time. Prayer means try not to hurt others. Prayer means being kind and generous to others. Prayer means praying for others in your prayer. Prayer is very selfish at the same time selfless and peaceful act. 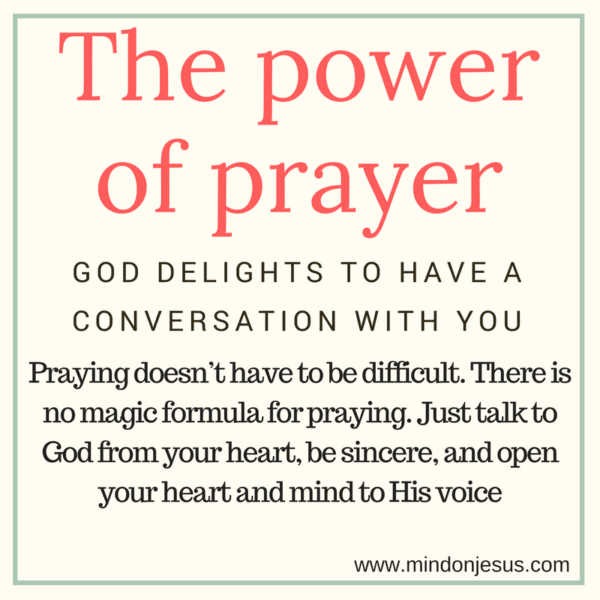 What is the power of Prayer ? Prayers have lot of power to change our situation. 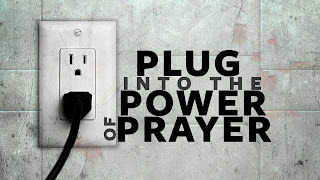 It has direct connect with god. If we are worried, then it makes us calm. If we are being negative, then it makes us positive. It makes surrounding positive, and gives use positive vibes. It shows us new possibilities around us. If we are surrounded by fear of doing somethings, then it makes us fearless. It gives us courage in our difficult time. It makes us believe that someone is there, who is taking care of us, and listening to us. I have experienced that, prayer that we do for others' health and happiness has more power, and it get listen by god very soon. Children are innocent and considered as god itself, so their prayers get taken care by god in no time. So teach them to pray, and make them believe in prayers. What do we need to Pray ? 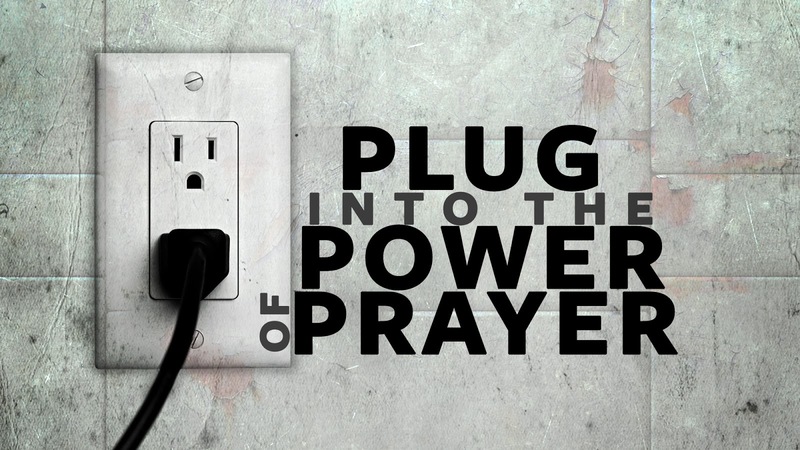 Prayer need purity of your heart and soul, and faith in GOD, while you pray. It needs your true belief on GOD. However, we can make it more versatile with singing prayers, chanting of mantra, diya, dhup, flowers, candle, bell ring, prasad, offering a water to sun and lot more....Nothing wrong in it..... Not at All. Just like we have liking towards certain things, our GOD does have liking towards those things. These things help us become more spiritual, and more focused towards our prayers as well. Like lightning Diya, Dhup or Candle make surroundings very much spiritual and that help us focus on our prayers. I have read somewhere that, ringing a bell, removes negative energy from surroundings. Prasad means 'Prabhu ke Sakshat Darshan', it is said that we should always get prasad from mandir for us and for our relatives at home who could not come to visit the mandir. Offering a water to sun in wee hours of morning provides you with positive energy and makes your day better. If we combine our prayer with chanting of some mantra, then we can have magical effect in our life. Like chanting a 'Gayatri Mantra' is good for health. Similarly, chanting the mantra of Shiva daily – 'Om Namah Shivay !' and 'Mahamrityunjaya Mantra' will present you with good health, wealth, prosperity and long life. It is said to be very beneficial for students as well. 'Ganpati Atharvarshish' have magical benefits in once life. These are some basic mantras and more over to it you can chant it whenever you get some time in you day, or in case you are fearful of doing something. I have mentioned these mantras, since I chant this in my day to day life and has some magical benefit and proven very good for my life. You can chant some other mantras as well as per your liking and belief. Since I have knowledge of only one religion, I have not written here about any other religion. I would like to know, which mantra you chant in your day to day life, you can share it here in blog comment section. 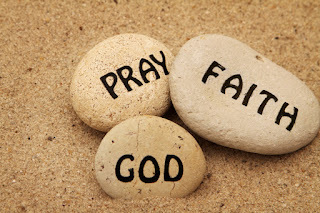 In this busy lifestyle, if you can't manage to get time for versatile prayers every day, then seat peacefully at one place for a minute or two, close your eyes, and with all love, faith and trust feel connect to GOD. Have conversion with that divine power called GOD. Thank the GOD for healthy and happy today. Pray for your good heath, lovely family and friends. Ask for courage, if you feel its a difficult time. Do confession of your mistakes to GOD (if possible, then to that person as well). Forgive the person who have wronged you. Try to be true to yourself. This will make your soul pure, eventually this will make your prayer pure and powerful. Be kind and helpful to others. This will make you very much content and peaceful, and you will eventually feel more connected to GOD. Be a person, for whom others like to pray. It is said that, safest place on the earth is being in someones prayers. Pray from your deepest soul, and see how prayers will do magic in your life. Pray and Be blessed !!! Very nice article.. keep writing..
Happiness is....Seeing smiling face of mother when you come back home, Having dinner at your favorite restaurant, Having a good friends, Having good deep conversation with best friend, Being at home while raining outside and reading good book and having tea, Getting a phone call from a person you love and smiling while seeing his/her name on mobile phone, Knowing that its Friday evening and you can watch TV till late night and no need to wake up early tomorrow and lot more....These are very small things, but makes us happy. Don't you agree ? 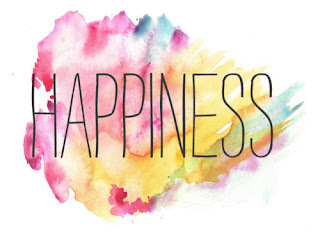 "Happiness is the state of being happy, content, cheerful"
Forgiveness - Very difficult act, at the same time so simple one and will make your life easy and peaceful !!! "Achha Socho, Achha hi hoga" we all have heard this, mostly from our elders. When I was in early teenage, I used to think, how is this possible ? How is my thinking going to effect on what will happen to me? I did not believe it. But later on I have experience this in my life. And it is true. We get lots of thoughts in our mind in single day. Experts says it is between 50,000 - 70,000 thoughts per day, this means 35 to 48 thoughts per minute per person. 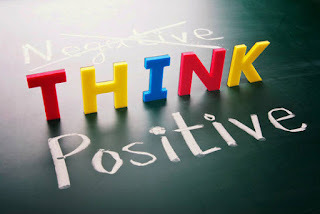 Single negative thought have that much capacity to change your mood for rest of day, or may be till the time you do not decide to change your mood to pleasant again and move on to positive thought.